This was a game to forget. 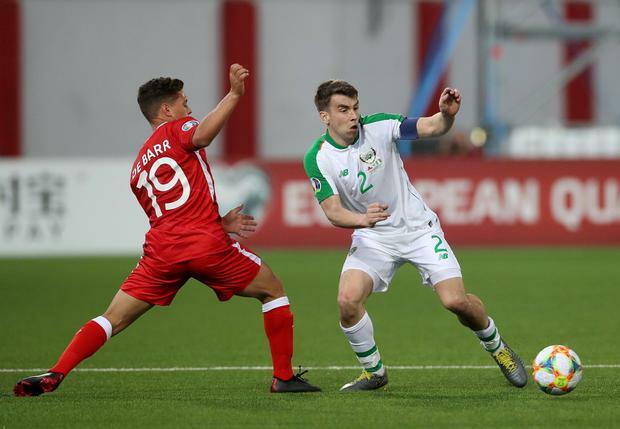 And the off-the-field drama surrounding FAI CEO John Delaney ensured that there was plenty of other things to talk about in Gibraltar on Saturday evening. Mick McCarthy politely rebuffed the suggestion that the FAI's issues were a distraction in any way. He had his own worries throughout the week ahead of this Euro 2020 qualifier and was able to articulate them in the aftermath. "It was set up for us to come away with nothing - or with a point - because of the circumstances," he said. "I hated it. I hated every minute of it. I hated the game because I knew what it was going to be like. It was blowing a gale, it was bouncing all over the place on the pitch, it's tough. "I could see what was coming. It's not enjoyable playing against a team that has got nothing to lose and everything to gain, and everybody is watching and we should be beating them by a number of goals - it's bloody horrible." He was midway through an answer when his opposite number Julio Cesar Ribar passed by on the way to his press conference. McCarthy stopped to offer his congratulations. His hope is that the Gibraltarians retain the same organisation for the remainder of their home matches at the venue. They cannot control the elements, however. It excuses some aspects of the Irish performance, but McCarthy will know that the performance levels will need to lift by several notches for the visit of Georgia tomorrow. The players were on the same page too, coming around to the general sentiment that they needed to just take the points and 'get out of here' as Shane Duffy put it. "The wind caused us a lot of problems, but they had the same problems to deal with so there are no excuses," said the Brighton centre-half. "On paper, you think you should go out and blitz them and we'd got an early goal then it might have been a bit different but we didn't and the longer the game went on at 0-0 or 1-0 then they always had hope. "There is a lot to improve on for us and we have to get back to working hard ahead of a big game on Tuesday. We know we can play better." Duffy said that McCarthy was standing on the sideline, barking at the team to try and move the ball quicker in a laboured display. 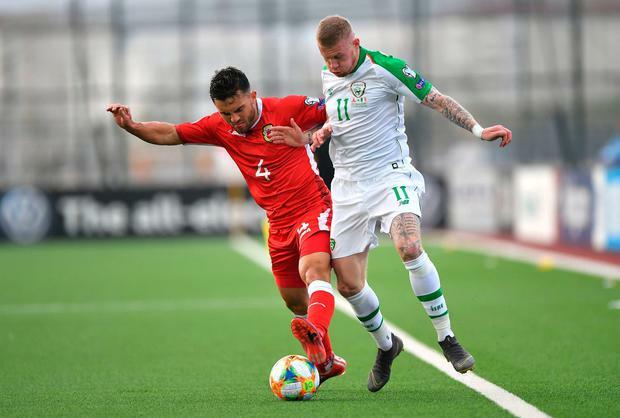 The fact that Gibraltar sat deep posed problems, and McCarthy admitted that the shape of the game proved really frustrating for central striker Seán Maguire who toiled. He thrives when given the opportunity to sprint onto passes but never really got into those positions. 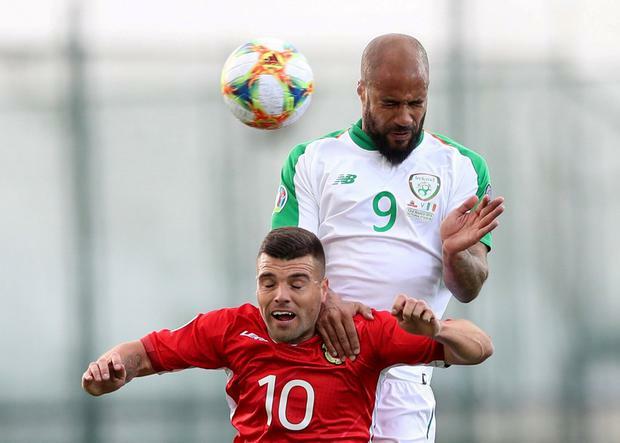 Midfielders Conor Hourihane and Jeff Hendrick were praised by the manager, yet the top honours went to Darren Randolph because of his fine stop from Gibraltar skipper Roy Chipolina just after half-time. If that had gone in, then the team's performance would have provided competition for the FAI boardroom shenanigans in the crisis category. Ireland's response to that was swift and decisive in the sense that it provided the game's only goal with David McGoldrick shifting left to find some space and tee up the Burnley player. That was a brief moment of quality in a match devoid of it. With the experiment of Matt Doherty as a right-sided midfielder failing to work, and Maguire then replaced by Harry Arter in an attempt to see Ireland through the conclusion, this match was a reminder of just how much room for improvement there is when it comes to launching a successful Euro 2020 campaign. 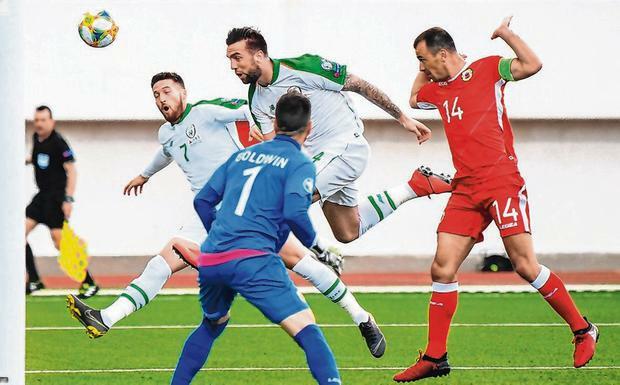 Gibraltar was a tough place to be on Saturday, but Ireland were lucky to be able to put in such a rusty display and still get away with it.